An elderly man lost his life suddenly on Saturday (January 19) following a single-vehicle crash at Tuross Head. 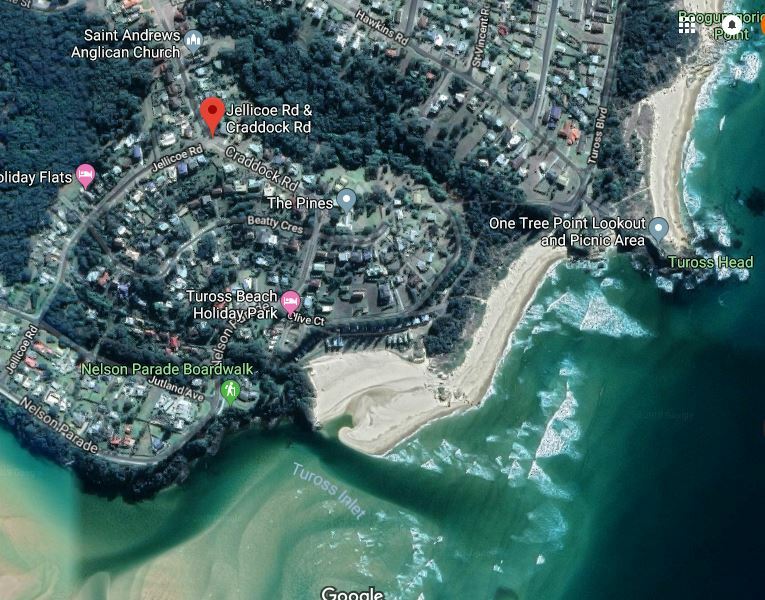 Just after 9 am, emergency services were called to the intersection of Jellico and Craddock Roads, within the idyllic village south of Moruya. Police report, the 94-year-old was trapped behind the wheel of his Peugeot sedan after it left the road and collided with a tree. He was freed and treated by paramedics at the scene before being rushed to Moruya Hospital, where sadly he later died. Initial inquiries by officers from the South Coast Police District suggest the man may have suffered a medical episode. A report will be prepared for the Coroner. Anyone with information is urged to contact local police or Crime Stoppers on 1800 333 000.